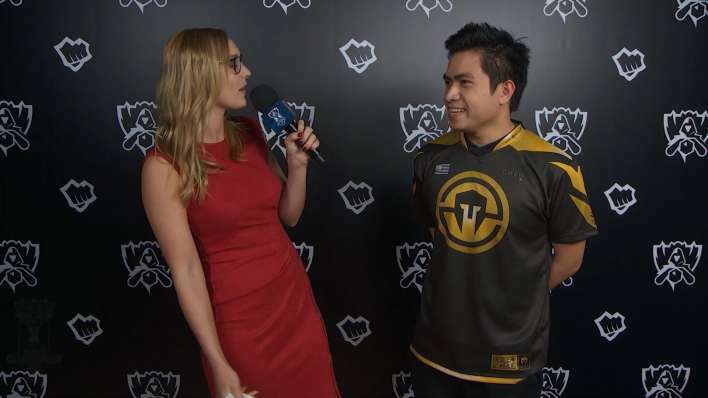 IMT Xmithie on Their Game Against FNC: "No one in the team expected that ending either..."
In the early stages of the game, Flame's Jayce applied heavy pressure on Soaz's Cho'Gath while on the other side of the map, Rekkles had his rein on Cody Sun. In the end, the advantage that FNC's botlane had over IMT seemed greater than that of IMT's toplane over FNC. As the game continued, IMT couldn't secure anything more than just small leads and ended up losing most of the teamfights. However, when Fnatic rushed a Baron attempt, IMT secured the objective for themselves and started playing off of that lead. The tides have turned for IMT... but FNC turned it around again. After stealing Elder Dragon from IMT, FNC utilized Ryze's ultimate perfectly to rush and burst down Baron before their opponents could even have a chance to react. The game continued, and both sides had struggles in trying to close out the game. But in the end, a failed assassination attempt by Rekkles had him killed, costing him and his team the game. The following is an interview done between Sjokz and Xmithie. First off, Congratulations! Aside from that one final moment, could you identify any other moments in the game that decided the outcome? The earlygame was very wonky... Fnatic played really well at the beginning, and we didn't fully calculate the Ryze TP. Also, no one [in the team] expected that ending either... (Laughs) I'm glad that we won, but I'm still sad about how we played. Could you give us some insight on the comms? This is your 4th World Championship. Can you talk about Cody Sun and the synergy between the teammates? This is Cody's and Olleh's first Worlds... Everything is mainly on just nerves. Everyone is getting used to the atmosphere and staying in another country. So all I can tell them is to basically get used to it. What do you think about GAM, your next matchup? They seem like a team that's hard to prepare for... in a way. We heard rumors that they do a lot of cheese like swapping at level 1 and getting level 5 in just 3 minutes... The way to beat them is not being surprised by that, and following it up with another plan.